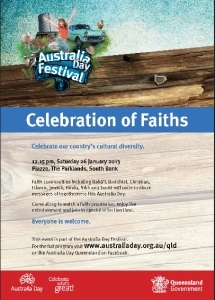 As part of the 2013 Australia Day Festival, to be held at the Parklands, Southbank, Brisbane a Celebration of Faiths event will be held. Faith communities including Baha’i, Buddhist, Christian, Islamic, Jewish, Hindu, Sikh and Taoist will unite to share messages of togetherness. Everyone is welcome to come along to watch a faith procession, enjoy live entertainment and join in special reflection time. 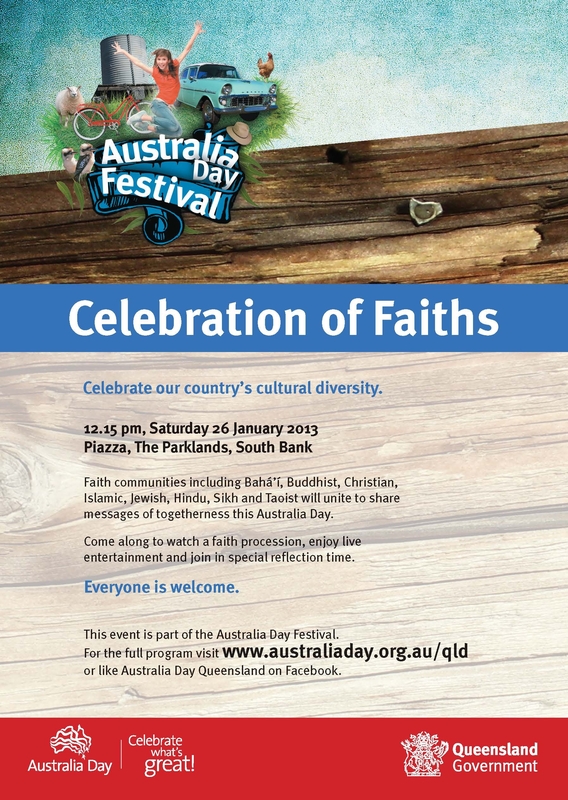 The event is part of the Australia Day Festival.